Roald Dahl's widow says that Charlie Bucket from Willy Wonka and the Chocolate Factory was originally black. 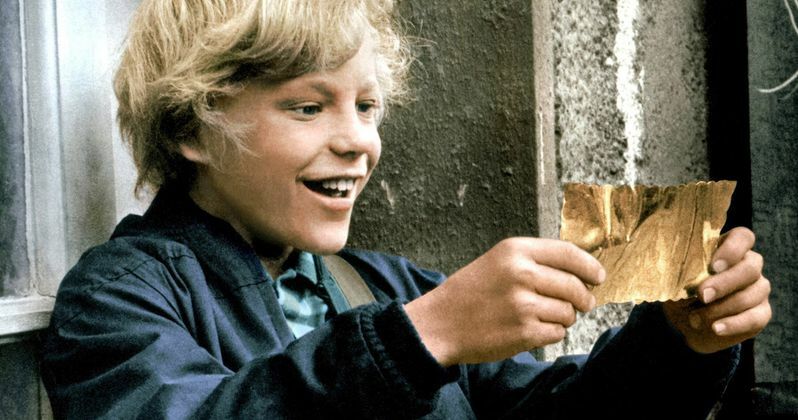 The original Charlie and the Chocolate Factory book, in which a boy from an impoverished family in Britain finds the fifth and final ticket to win a tour of the factory run by eccentric chocolatier Willy Wonka, was just one of many insanely successful children's classics written by Dahl that also inspired major motion pictures. James and the Giant Peach, The BFG, Fantastic Mr. Fox, and Matilda were all from Dahl's books long before they were made into movies. But perhaps a bigger change was never requested of Dahl than to make his hero a white boy as opposed to African-American. In honor of Roald Dahl Day, which is held on September 13th, the BBC interviewed Dahl's widow, Felicity, and his biographer, Donald Sturrock. During the interview, Felicity brought up that Charlie Bucket was intended to be a "little black boy," but the publishers of the original book "thought that it was a bad idea." So, Dahl went and changed the character to a poor little white boy instead and the rest is history. Sturrock mentioned that the publishers were worried about people asking why the character was black and that was apparently too much for them to handle back in 1964. The interviewer suggested that a new rewrite could be done to put out the book that Dahl had intended to make and Felicity said, "it would be wonderful, wouldn't it?" It could happen sometime in the near future if somebody decided that they wanted to go in and change the published version of Charlie and the Chocolate Factory. Meanwhile fans are thinking less about reading another book and more about seeing a new movie with Dahl's original vision and already making casting ideas. In a different set of events, the NAACP called Roald Dahl out when news of a motion picture adaptation of the book was announced. In the original first editions of Charlie and the Chocolate Factory, the Oompa Loompas were black factory workers and described as African pygmies (unusually short} that took care of Willy Wonka's factory. Once the NAACP caught wind of a movie, visions of slavery took hold and Dahl was convinced to change the characters into little orange people with green hair to avoid any racism accusations. In addition, subsequent editions of the books changed the colors of the Oompa Loompas as well. The first big screen adaptation of Charlie and the Chocolate Factory came out in 1971 and was later reimagined by Tim Burton in 2005. It's been over 12 years now, so maybe a reboot is in order, but in the way that Roald Dahl originally intended. Warner Bros. is currently working on a Willy Wonka prequel, but that will look at Wonka's younger days, and doesn't feature Charlie or his cohorts from the original. Over the years, various pieces of Dahl's draft materials have been found and there are even chapters that were to be used in the book that were taken out completely by the author for reasons that are only known by him. There were supposed to be more children and more rooms in Willy Wonka's crazy chocolate factory, but Dahl removed them, possibly just to shorten the book. Willy Wonka Origin Story to Be Revealed in New Prequel Movie?